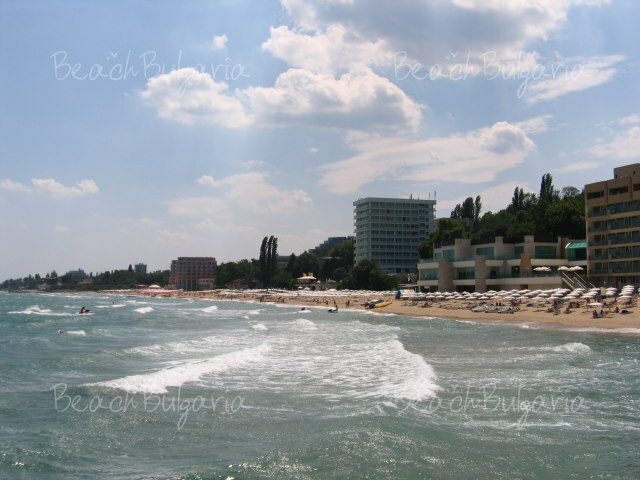 Sunny Day resort is located 10 km to the north-east of Varna, at the far end of a secluded scenic bay with fine sand beaches. Sunny Day is a peaceful green oasis in a sheltered bay, with a lovely natural park, clean sea, golden sand and mineral springs. 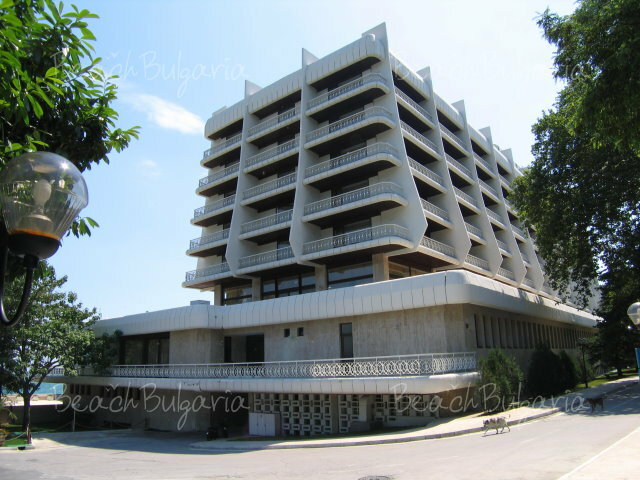 The complex offers accommodation in elegant hotels - Palace Hotel, Marina Hotel, Veronika Hotel and Mirage Hotel, built on the very seashore. The hotels offer all inclusive accommodation. The resort offers five restaurants, two fully equipped spa centers, outdoor and two indoor mineral water swimming pools, yacht dock, conference halls. 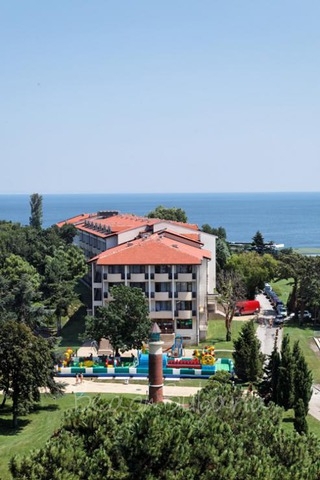 Sunny Day resort is situate on the Bulgarian Black Sea coast, in close proximity to St. Constantine and Elena resort, 8 km south of Golden Sands, 10 km to the north-east of Varna and 16 km from Varna Airport. Sunny Day is located at the far end of a secluded scenic bay with fine sand beaches. The climate in the region is Mediterranean. The average monthly air temperatures during the summer season are 23-28°С, and of the sea water are about 24-25°С. There are approximately 1,700 hours of sunshine from May till September. Sunny Day resort is a green oasis in a sheltered bay, with clean sea and golden sand, natural park and mineral springs. The resort was awarded with the Blue Flag international ecological prize in 1996, 1997 and 1998. The resort offers spacious beach strip, 1 km long and 20 m - 80 m wide, a calm sea with sandy bottom that gradually becomes deeper, a natural park with rare tree species and curative mineral waters springs with temperature of 45°С, low mineral content, hyperthermal, hydrocarbonic, with traces of calcium, sodium, magnesium, sulphides, chlorides. 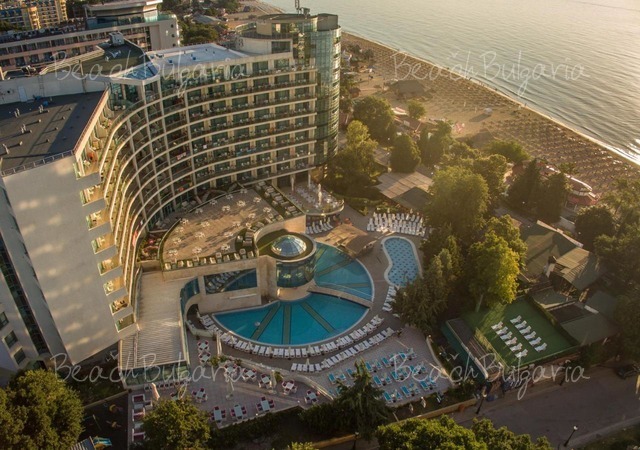 The complex offers a capacity of about 1,300 beds in four elegant hotels - Palace Hotel, Marina Hotel, Veronika Hotel and Mirage Hotel, built on the very seashore. The hotels offer all inclusive accommodation. Check out the hotels in Sunny Day in the left menu, book online and contact us for more information. 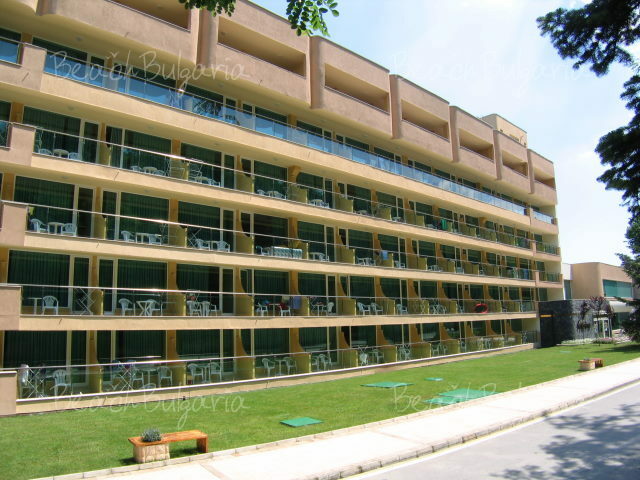 The resort offers night club, bars and 5 restaurants with seafood and dishes from the Bulgarian and European cuisine. Sunny Day resort features 2 fully equipped spa centers with over 100 different kinds of SPA and medical procedures and treatments, beauty care (aromatherapy, mud treatment, sauna, reflexotherapy, fitness, laser therapy, medical cosmetics, bath, solarium, body former), qualified medical personnel, 1 outdoor and 2 indoor mineral water swimming pools. The yacht dock situated to the north of the resort can accommodate 17 yachts. The resort offers different opportunities for indoor and outdoor activities – tennis courts, swimming pools, sea scuba diving, table tennis, etc. Sunny Day is a popular destination for business events. It offers 6 well equipped conference halls and business centres that make the resort an excellent choice not only for relaxing SPA holiday, but also for business meetings. Sunny day is a quiet, clean, tidy, safe, calm, convenient place, perfect for families with small children and older folk. It's a closed-in resort with only 4 hotels , catering mostly to German and Russian tourists. Everything is decent without being opulent or extravagant. Ignore words like "posh" or "luxurious" that you see on some sites, they don't really apply. Good value for money is a more appropriate description. The Marina hotel itself is just OK but shouldn't get more than 3*: it's basic but clean, rooms are on the small side and the bathroom is downright minuscule, with standing shower and no tub. Food is good but nothing fancy, quite varied and plentiful. Lots of deep-fried stuff. The breakfast was the most disappointing with very limited options (basically omlettes or cereals), unless you really fancy some pizza at 8 in the morning. The absence of orange juice is unacceptable, IMO. The hotel is right on the beach which is very convenient when traveling with toddlers. Get a room with sea-view so you can sleep with the doors open at night and listen to the sound of the waves - nothing beats that. The beach is nice, large, not crowded, and clean. Behind the hotel there's a small hill with lots of vegetation. There's no entertainment or other activities at night in the resort - you'll have to go to other places for that. You can do some water sports in the resort and they also have tennis courts. There are 3-4 different pools in the resort which looked ok (the one next to Marina was the smallest and really only suitable for children). Please, post a comment on Sunny Day.